Not all carpet and upholstery cleaners in Perth are the same. Choose a trained and certified professional that you can trust, to protect your investment and your health. Cheap carpet cleaning deals may cost you more in the long run, so choose quality over price when choosing a carpet cleaner. 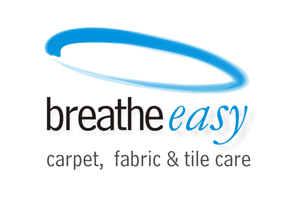 Why should you choose Breathe Easy Carpet and Fabric Care? Breathe Easy are registered members of The Carpet Cleaning Association of WA ( CCAWA) and licensed technicians of the Australian Carpet Cleaning Institute (ACCI). Breathe Easy uses environmentally sustainable cleaning practices and offers a range of fragrance and volatile organic compound free cleaning solutions with anti re-soiling technology for a cleaner, longer lasting result, improving the indoor air quality for a healthier home and workplace. Breathe Easy are the go to carpet , tile and upholstery cleaning service for many Perth schools and businesses who care about their staff and students health and wellbeing, as we offer a range of products designed for chemical and fragrance sensitive people which will not leave behind overpowering fragrances, chemical residues and dust. Does your Carpet Cleaner have Government recognised qualifications? Hi, my name is Andrew Connell and I am the Proprietor and Head Technician of Breathe Easy Carpet and Fabric Care, located in Perth, Western Australia. With over 25 years experience in the carpet cleaning industry, so much has changed. For me, the most significant change to the industry came with the introduction of The Australian Standards and Government recognised qualifications. This alone has seen major improvements in the professionalism and the cleaning standards from businesses that have embraced this training and education, in what is, an unregulated industry. Unfortunately, it is not compulsory to comply with the Australian Standards, with only a small percentage of carpet cleaning businesses choosing to do so. The problem then is you, the consumer, may chose a carpet cleaner based on price, often choosing the cheapest option. While you may be one of the lucky ones, too often we receive enquiries from distressed property owners and tenants who are unhappy with results achieved by a cheaper carpet cleaner. In many cases, we are required to re-clean and fix the disastrous results of using a cheap, untrained carpet and upholstery cleaner, ultimately costing you more. I take my industry seriously, serving four years as the President of the Carpet Cleaning Association of WA ( CCAWA) and remain a current member of the committee, assisting with recruitment of new members. I am accredited with a Certificate 3 in Asset Maintenance ( Carpet Cleaning) and enjoy mentoring other carpet cleaning technicians wanting to improve their knowledge and skills. This is a very rewarding experience as the majority of them go on to having successful businesses of their own, and whose services I would not hesitate to recommend. Reputation is of great importance to me and I take pride knowing new and loyal repeat customers can feel safe when choosing Breathe Easy Carpet and Fabric Care to look after their cleaning needs. We only provide a premium, Australian Standard carpet, upholstery, tile and grout cleaning service that has our customers returning year after year and recommending us to their family and friends. This is the ultimate compliment! When choosing a carpet cleaner, do not let price be the only deciding factor. Choosing a professional technician who is a member of the Carpet Cleaning Asssociation of WA, you can feel confident the technician is trained, police cleared and insured. Breathe Easy Carpet Cleaning in Perth can offer traditional hot water extraction (Steam Cleaning) or for those rooms which need to be cleaned and used urgently the latest quick dry technology carpet cleaning systems can be employed. Please take a look at many of the positive reviews that Breathe Easy Carpet and Fabric Cleaning has received. 1. Are they a member of the carpet cleaning association of WA? 2. Do they work to the Australian and Woolsafe Standards? 3. Have they completed appropriate training courses? 4. Do they have a workplace safety management plan? 5. Are they fully insured with a federal Police clearance? 6. Do they pre-vacuum your carpets and furnishings? 7. Do they carefully move your furniture with sliders? 8. Do they place protectors under furniture? 9. Do they offer multiple cleaning methods? 10. Do they have positive online reviews? You won’t believe the result! No more scrubbing on your hands and knees. Don't mess around with inferior systems that just wont do the job, try Breathe Easy's restoration tile and grout cleaning service and we guarantee you wont be disappointed. Let Breathe Easy restore your soiled grout and tiles. Breathe Easy can delicately restore even the most heavily soiled upholstery with professional industry accredited upholstery cleaning techniques. Breathe Easy carpet and fabric care is the recomended upholstery cleaning service of Warwick fabrics in Perth. For general enquiries or advice, for fast response, we recomend contact by telephone, you are more than welcome to send an email, and we will respond as quickly as we possibly can, please fill in your particulars below and click 'send'. Breathe Easy Carpet Cleaning, look foward to assisting you with all your carpet cleaning, upholstery and tile cleaning needs.